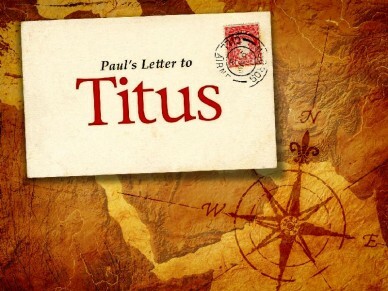 Paul’s letter to Titus is a fun little book to look through. It is part of what is ordinarily referred to as the Pastoral Epistles, the two letters to Timothy comprising the rest of that grouping. These three “letters to young pastors,” as they are sometimes called, give great detail about what is expected from our pastors, both as to qualifications and duties. Interestingly, we have left off most of these details in this modern era where we have all but rejected the Word of God as we replace it with the wisdom of man. We will explore some of these aspects as we study this little epistle in hopes that at least a few people will begin to rise up in their church to demand a more scripturally informed leadership. Higher criticism, in and of itself, is not necessarily bad. For all intents and purposes, it should actually be considered as a noble enterprise in our desire to ascertain the full import of the sacred writings upon our life and beliefs. However, higher criticism eventually came to be dominated by extreme liberalism, which only had as its goal the destruction of any belief in the sacredness of the Bible. You will find numerous articles from differing perspectives as to the purposes of, and our attitude toward, the science of higher criticism. So far, there is no solid evidence against the historical acceptance of Pauline authorship of this epistle. Simply put, apostles, along with the others mentioned, have been given UNTIL we all come into a unity of the faith, etc. I do not believe this has happened yet. Again, there is a plain statement within the letter as to whom this was addressed—Titus. We know that Titus was a Greek (Gal. 2:3) whom Paul had personally led to the Lord (Titus 1:4). Titus is mentioned 13 times in the NT, mostly in 2 Corinthians. It is the false teaching which becomes the focal point of Paul’s letter to Titus, as he gives instruction about how to deal with both the teachers and their teachings. We will begin to look at these in our next lesson.